With award season already in full thrust, SPOTLIGHT asks: Has there ever been an A-list actress who has – in the prime of her career – choosen to promote not herself, but two films that tell stories about third world countries? The actress doesn’t even play a role in either film, but opts instead to produce The Breadwinner, an animated story about a young Afghan girl who dresses as a boy in order to feed her family in Taliban-controlled Afghanistan, and to direct First They Killed My Father, an unflinching child’s view on the Khmer Rouge’s deadly rule in Cambodia. 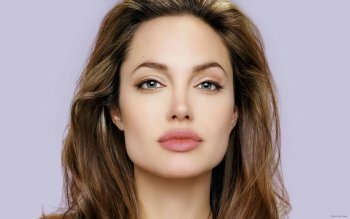 No prizes for guessing December’s SPOTLIGHT is on Angelina Jolie, humanitarian, filmmaker, activist, mother, actress and so much more. 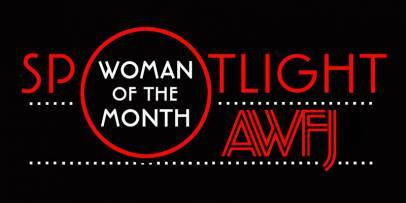 And, both of her 2017 films have been selected as AWFJ Movie of the Week for their date of release. As a BAFTA and AWFJ voter, this journalist enjoys award season as much as the next, although – if we’re totally honest – it’s something of a self-serving enterprise. Pick me! Pick me! Which is what makes Jolie’s humility all the more admirable. When AWFJ met with Jolie at Toronto International Film Festival 2017, she tirelessly walked the red carpets accompanied by her six children, using her own celebrity to promote otherwise overlooked issues. Dressed head to toe in white maxi skirt and white buttoned shirt, she looked like an angel as she reflected on her career, surprised as anyone to note that she’s been an actress for 35 years now, making her screen debut opposite her father Jon Voight in Lookin’ to Get Out, at age seven. Jacqueline Bisset and Maximillian Schell were her godparents and a Hollywood career was preordained. “I grew up around film in a town where it was all anybody talked about. My mother always told me how she wanted to be an actress and how her grandmother wanted to be an actress, and she was just so excited that I would be an actress that I never really thought I could be anything else,” noted Jolie, 42, whose beloved mother Marcheline Bertrand died ten years ago of ovarian cancer, at age 56. It’s of note that she only really began her odyssey as a director in the same year her mother died, first with the 2007 documentary A Place in Time, followed by the 2011 Bosnian drama In The Land of Milk and Honey, gaining momentum with 2014’s WW II epic, Unbroken. A year later she directed, wrote and starred opposite husband Brad Pitt in By The Sea, a drama about a husband and wife whose marriage is unraveling. While the poorly received film would become a self-fulfilling prophecy – the couple’s 12-year relationship unraveling over claims of his drinking and abuse – today their year-long separation is on hold. “I haven’t done much [on screen] since my mother passed although now I do it for my kids,” said the mother of Maddox, 16, Pax, 13, Zahara, 12, Shiloh, 11, and nine-year-old twins Knox and Vivienne. She may have told the New York Times that she never expects “to be the one that everybody understands or likes,” but the peculiar disconnect between Jolie as a person and her perceived wild image, has long time been evident. Time has proven her gentle, kind and selfless. If you have to be a little crazy to take on and achieve as much as she has done, then call her crazy. A cofounder of the Preventing Sexual Violence in Conflict Initiative, five years ago she was anointed as Special Envoy to the UN High Commissioner for Refugees, undertaking more than 60 missions to date, often accompanied by her family. Then there’s her advocacy for womens’ health and frank discussion of her own double mastectomy, all the time raising six children. Having interviewed Jolie at least five times over the past decade, I’ve always found her to be smart, gracious and kind. She doesn’t even have a personal publicist and the first words out of her mouth are usually, “Ask me whatever you want.” Manna to any journalist’s ears. The same year as Girl, Interrupted, she starred in The Bone Collector with Denzel Washington and Pushing Tin, demonstrating the rage of her talents. Ironically it was her flashy role in the blockbuster Lara Croft: Tomb Raider the following year that changed her life. While filming in Cambodia, she happened upon Loung Ung’s bestselling memoir, First They Killed My Father. At the same time, she fell in love with the Cambodian people and adopted her first child, Maddox, from a local orphanage. Loung Ung was five when the Khmer Rouge overthrew Lon Nol’s military rule in 1975, turning the once-prosperous former French colonial outpost into an isolated death chamber. Seeking out Ung shortly after reading her book, the two women became instant friends, adapting the book into a screenplay many years before Netflix agreed to finance the project in 2015. Cambodian director Rithy Panh signed on as a producer. When a damning Vanity Fair article suggested that Jolie had manipulated Cambodian children during auditions for the film, Panh supported Jolie, saying how she is beloved by the Cambodian people. That of course, would be In The Land of Milk and Honey. A champion of women’s rights for all, Jolie instantly signed on to co-produce The Breadwinner, writing in Harpers Bazaar about the inequality of a word where millions of women and girls – such as the 11-year-old girl portrayed in the film – have to go to work instead of school to support their families. Gill Pringle began her career as a news reporter on Britain's famed Fleet Street, planning on changing the world, exposing injustice and covering war zones. Instead she became the editor of The Sun's legendary Bizarre column and, later, The Mirror's White Hot Club, travelling the world with Michael Jackson, U2 and Madonna. A growing passion for film prompted a move to Los Angeles 20 years ago where she interviews actors and filmmakers for leading broadsheet and magazine titles in the UK and Australia. Gill's outlets include The Independent, the i, Sunday Times, Woman, S Express Magazine, Saga, and The Herald in the UK, and Filmink, Stack, The West Australian, news.com.au, Elle, Marie Claire, Cosmopolitan, Woman's Day, Stellar, Total Girl, K-Zone, Primolife and Yours in Australia.